Sunday, December 9 from 1-5 p.m.
Christmastime is the perfect time to visit our churches. Enjoy the decorations, architecture, music and more as you tour the Wellington Town Hall and four Wellington churches at your pace. Each church will offer a tour and the special activities listed below. The tour is free to take, but we highly encourage leaving a donation at each church to help further their mission. In addition to the tour, from1-2:30 experience their “Messy Church” service to enjoy Christmas crafts, and carols, and a special message. Located in the gymnasium in the basement of the church. A light lunch will also be served. Plus, “Free Trade” coffee and hot chocolate for sale. Tour this historic church and enjoy a special nativity display. There will be an opportunity to buy a gift from their holiday bazaar. 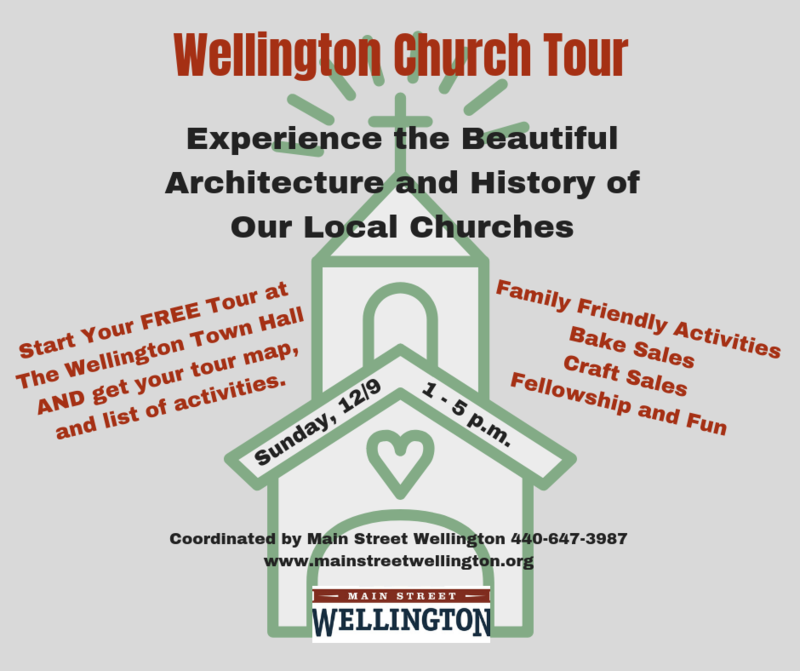 Join them for a tour and learn some history about the oldest Church in Wellington. They have records that go back to the 1850s! Will offer tours and have several guitarists playing instrumental Christian and Christmas music, along with refreshments. The church BUILDING is 172 years old but the Brighton Congregational Church body of believers was established in 1836 182 years ago on December 24th. Mayor Hans Schneider will share history of the Town Hall while leading a tour of the building. 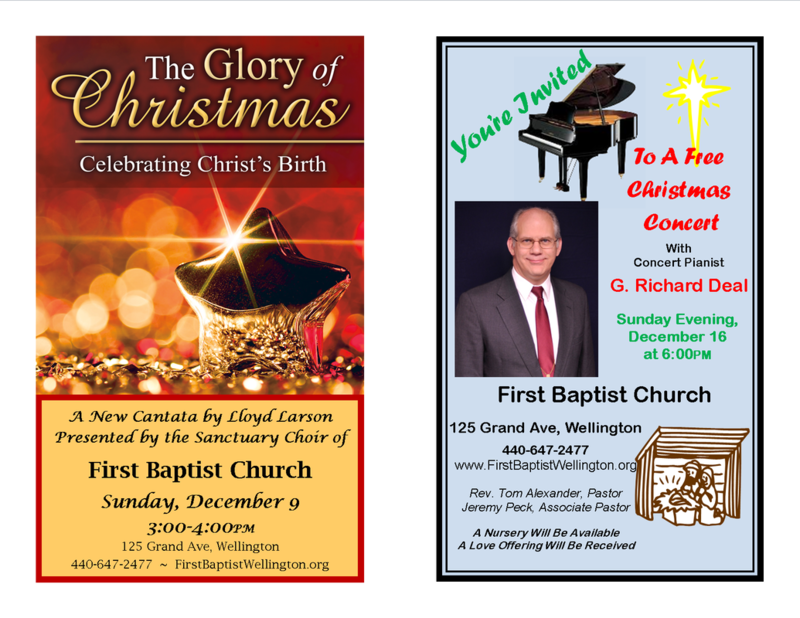 There is an additional event at the First Baptist Church at 125 Grand Ave. from 3-4 p.m. "The Glory of Christmas" a new cantata [see flyer below]. Please note that due to this event, tours are not available on this day. Please be mindful of others and if you attend be sure to stay put for the hour long event. There are 20 churches that call Wellington home. We hope to expand the tour next year and encourage more fellowship and fundraising at more locations.